HAGL striker Van Toan did a great job at the speed of "ripping wind" in front of Quang Ninh. Nine months later, HAGL was finally able to celebrate at Pleiku's home in the V-League. 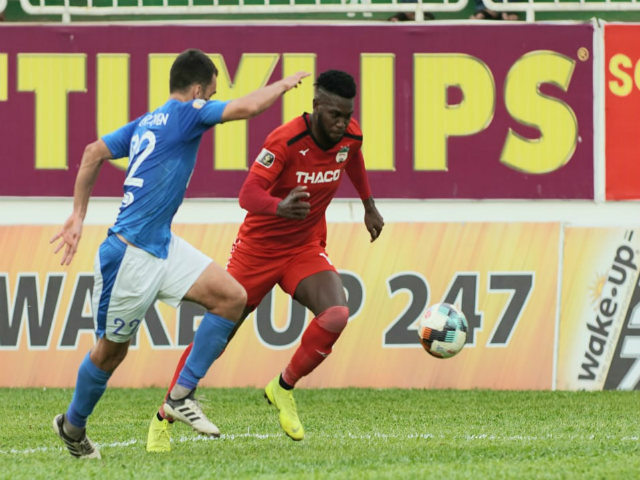 After three consecutive losses in a row, Duong Minh Ninh won Quang Ninh 3-2 in the fifth round of the V League 2019 game. Before that, HAGL's latest victory was July 14th. / 2018 (HAGL 3-1 Can Tho). Van Toan scored better than Quang Ninh. Quang Ninh Van Toan is the only contributor to the previous HAGL victory. 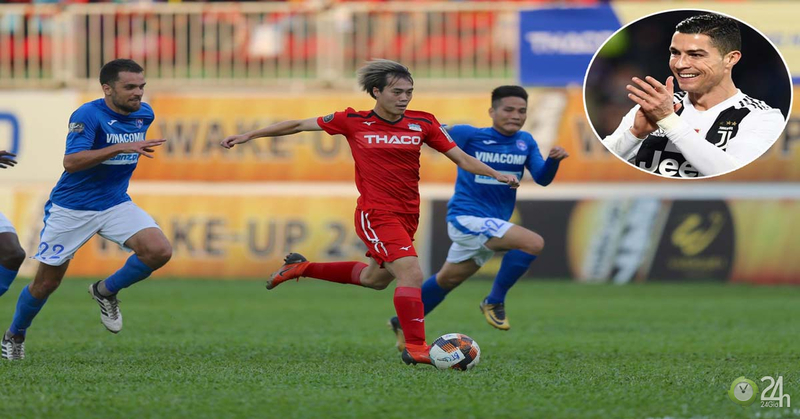 When the club broke up with Cong Phuong and Xuan Truong, Hai Duong's striker became mainstream and gradually established his name in the V-League. Van Toan's strengths are smarter play and faster acceleration. It was shown in both goals with Quang Ninh. The first goal, HAGL 9, received a ball from the center of the field and poked directly into the opponent's defense center before finishing Tuanglin's goal. On Sports's Libero technology, Van Toan only takes 3.22 seconds to speed and score at 3.26 seconds. That is, the average speed of the Hai Duong striker in this situation is 9.8 m / s (equivalent to 35.3 km / h). Cristiano Ronaldo is a record player in the accelerated world. 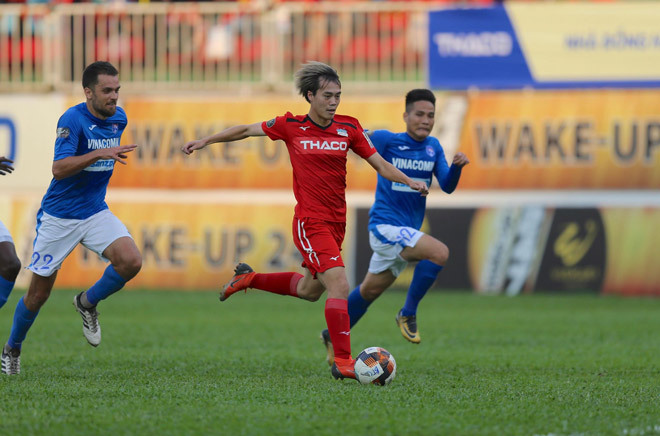 In the second situation, Van Toan's distance and score are 40m with an average of 4.22 seconds, with an average speed of 34.1km / h. Achievements can be much better if HAGL's number 9 does not have to pause a bit to avoid off-ball. In the world, superstar Cristiano Ronaldo is accelerating at a top speed of 38.6 km / h. It is the situation of the Portugal and Spain matches in the 2018 World Cup group. Situation Accelerated in the match against Quang Ninh, Van Toan could face Arsenal striker Aubameyang (34.6 km / h) or Manchester United defender Antonio Valencia (35.1 km / h). Both players are famous for the super speed situation. Statistics show that Vietnamese players can move with the ball as much as a world soccer star. The game has five scorers and one red card drawn by the referee. Da Lat's new homestay was still standing because people simulated the familiar scene of Doraemon.